Being able to do on-site (in-field, point-of-care, near-patient etc.) molecular (DNA-based) analysis is clearly an area of interest to a growing number of scientists. Portable devices, such as Oxford Nanopore’s MinION, and Optigene’s Genie instruments have opened the potential of doing in-field DNA sequencing and LAMP assays respectively. The process is well on it’s way, even if there are some challenges that need to be overcome. One of these challenges is the issue of doing sample prep in the field. As pointed out in this article by Nick Loman, “…you cannot get away without proper DNA extraction.” This seems to be particularly true of DNA sequencing and qPCR, where DNA sample purity can have a significant effect on results. Contaminants cause problems. In these cases, a low DNA purity can mean you have no chance of getting meaningful data. One of the reasons why LAMP seems better for on-site diagnostics in many cases is its robustness with less-than-ideal samples, compared to qPCR. I’ve had a strong interest in the area of on-site labs since 2011, when I first started representing the Palm PCR from Ahram Biosystems and the Genie II and III from OptiGene. (Conflict of interest warning: my company You Do Bio sells these instruments). Many researchers I speak are inspired by the possibilities of on-site DNA analysis testing. Getting data, fast, right where the sample is has potential in cases of disease outbreak, environmental/food testing and forensics. As a bonus, lugging a lab around in a backpack and sending data back from the jungle, beach, restaurant or mountain top has lots of Instagram-worthy coolness associated with it. Cleaning up DNA in a laboratory almost always involves centrifugation. 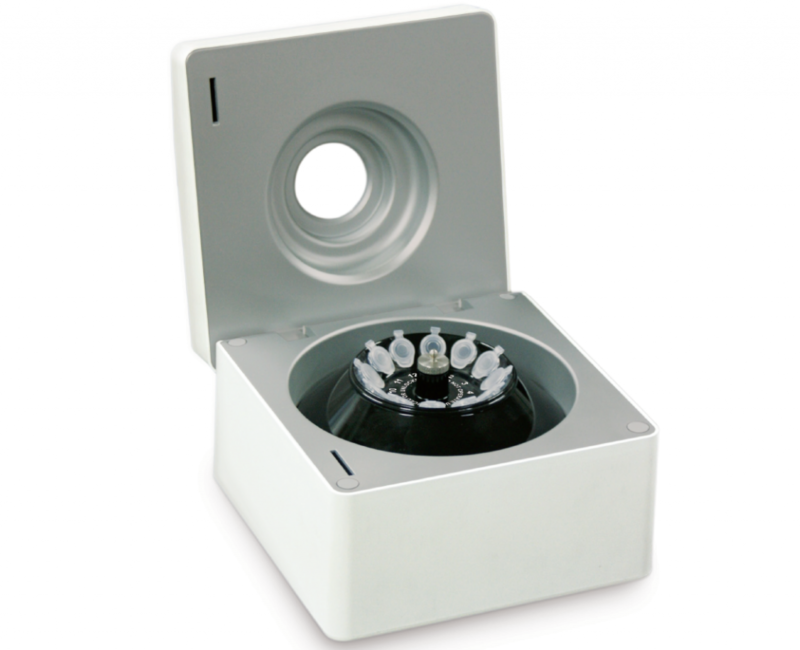 For example, many commercial kits rely upon column-based “bind and elute” methods that require a benchtop centrifuge (sometimes referred to as a microcentrifuge or microfuge). 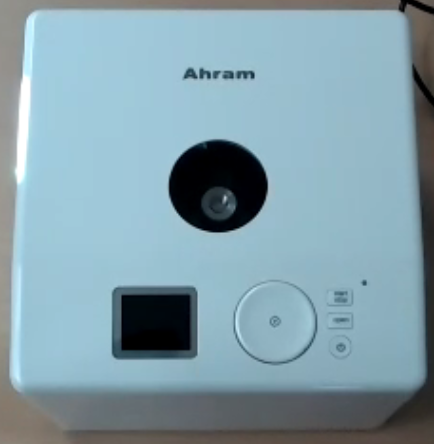 Therefore, I’m cautiously excited about the release, by Ahram Biosystems, of their cordless, battery-powered centrifuge, the RX1. On first look, it might offer a solution to in-field DNA purification (though see my comment about temperature control, below). Of course, a decent centrifuge is also a great method for solid-liquid separation that is also likely to be required during in-field testing. Adjustable rotor speed, up to a maximum of 8500 rpm. Capacity: 12 x 1.5 ml microcentrifuge tubes. Dimensions: 17 x 17 x 11.6 cm. Weight 1.3 kg with battery. (Unfortunately, it doesn’t come with a camouflage paint job). So, what makes it unique? As far as I can tell, it’s the first portable centrifuge that functions like its equivalent in a fixed lab. 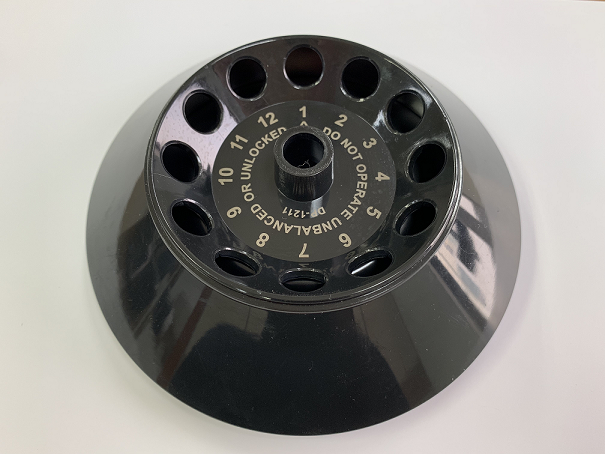 I’ve searched (googled) for cordless, battery-powered centrifuges and, while I did come up with a few hits, I was unable to find cordless centrifuges with adjustable rotor speed. Several centrifuges described as “portable” are just small with a regular power cord. The only other battery-powered centrifuge I could find was single speed and is currently listed as unavailable. No other devices seem to have the combination of adjustable rotor speed, portability and cordless. 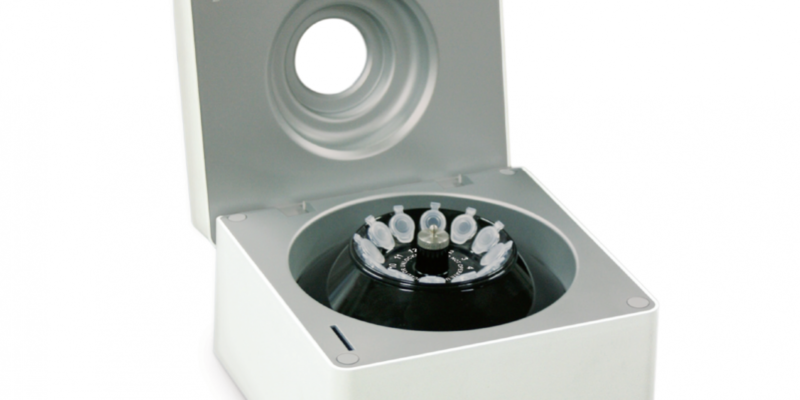 Within a short time, I’ll have the RX1 centrifuge as a catalog item in the You Do Bio webshop. Right now, I expect it to retail at a list price of EUR 1870, including rotor. Not quite there yet? The issue of temperature control. I’m not yet sure this is the solution yet. A quick look at some DNA purification protocols showed that samples are often incubated, either in the cold or a warm water bath, for some part of the procedure. The thought of an in-field stable temperature source seems like another stumbling block. However, if anyone can point me towards any spin-based, ambient temperature DNA purification protocols, I would be most grateful and happy to publicize them here. There might already be a bunch of “good enough” solutions to this issue of sample preparation in the field. Any comments or questions are appreciated. I’ll update this post accordingly.